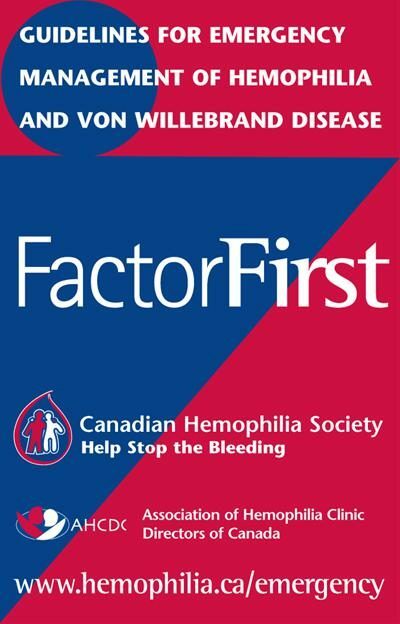 The FactorFirst wallet card was developed as a resource for the individual with hemophilia or von Willebrand disease to carry in his/her wallet for presentation to emergency department staff when accessing emergency care. The card contains important patient information including details on diagnosis and treatment guidelines and contact names and phone numbers of the patient’s bleeding disorder treatment centre. 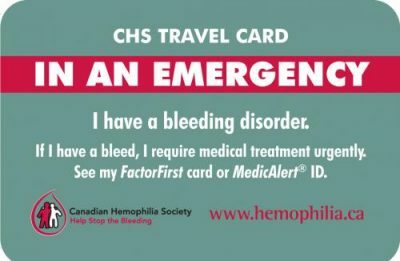 To obtain a FactorFirst wallet card, patients should contact their bleeding disorder treatment centre. 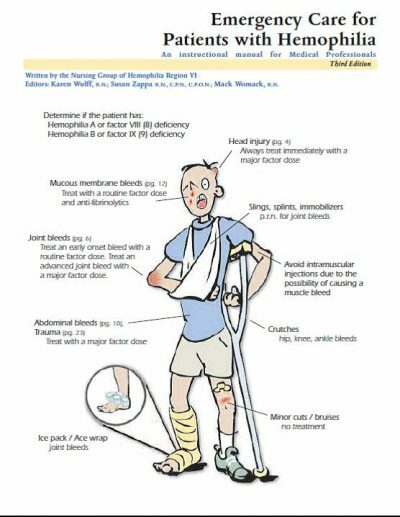 A 17” x 22” poster for display in emergency departments which contains the guidelines for emergency management of hemophilia and von Willebrand disease is available. To obtain copies of the poster, please fill out an order form. The TreatFirst wallet card was developed as a resource for the individual with a rare factor deficiency or a platelet function disorder to carry in his/her wallet for presentation to emergency department staff when accessing emergency care. The card contains important patient information including details on diagnosis and treatment guidelines and contact names and phone numbers of the patient’s bleeding disorder treatment centre. 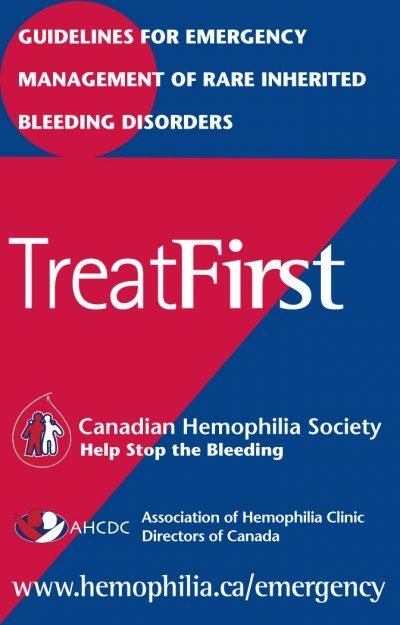 To obtain a TreatFirst wallet card, patients should contact their bleeding disorder treatment centre. Guidelines on the treatment and management of hemophilia emergencies including recommended dosage and contact information for Hemophilia Treatment Centres in Canada and the United States are available as a PDF. You can also fill out an order form to obtain a copy of the manual. 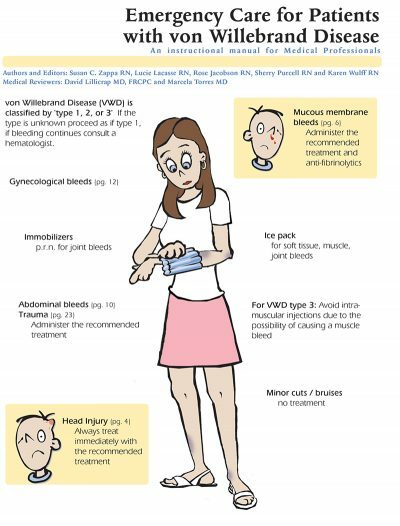 An instructional manual with guidelines on the treatment and management of von Willebrand disease emergencies including recommended dosage and contact information for Hemophilia Treatment Centres in Canada and the United States is available as a PDF. You can also fill out an order form to obtain a copy of the manual. 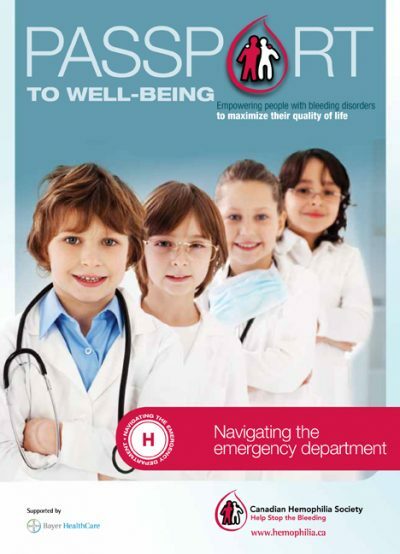 The booklet Navigating the emergency department contains practical suggestions on how to prepare for that unexpected trip to the emergency department and what you can do to make things go smoothly once you arrive. To obtain a copy, please fill out an order form. 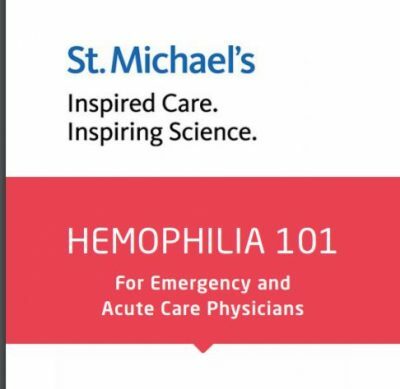 The Hemophilia Comprehensive Care Program team at St. Michael’s Hospital developed a resource for hemophilia patients to download to their phone and share with a health care provider who may not be familiar with treatment protocols for this rare disorder. 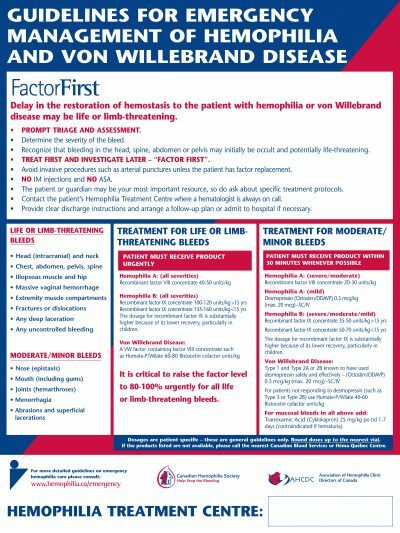 This mobile-friendly digital infographic (and the desktop version) reinforces five key points in management of patients with hemophilia. A video for clinicians was also released. The CHS wallet travel card contains information about how to access care and treatment when away from home. Among other things, and especially to help globetrotters, the wallet card contains 16 key phrases in English, French and Spanish that can be used in an emergency situation. To obtain a copy, please fill out an order form.